Cold winds constantly blow across the wide Martian plains of Elysium Planitia, and NASA unexpectedly recorded the sound of these extraterrestrial gusts. 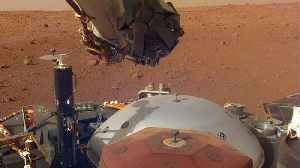 Although NASA sent the InSight lander to..
▶ Videos for "Martian Wind"
HuffPost reports that NASA’s new Mars lander has captured the first sounds of the “really unworldly” Martian wind. 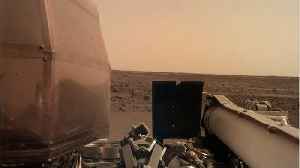 The Jet Propulsion Laboratory in Pasadena released audio clips of the alien..
NASA's InSight Lander sent back sounds of an otherworldly wind from Mars. 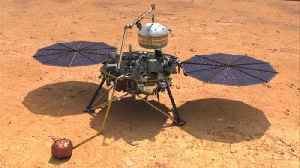 InSight's seismometer and air pressure sensor detected the vibrations from the Martian wind earlier this month. The lander's.. 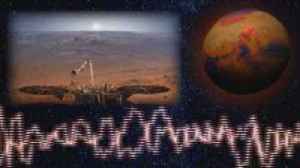 According to a report by Geek.com, NASA has unveiled its new Sounds of Mars recording which can he heard on the NASA website. On Friday, NASA's Jet Propulsion Laboratory posted a tweet with the.. 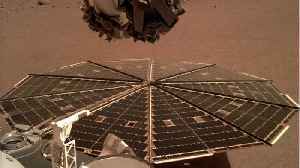 The InSight Mars lander accomplished a perfect landing last week on the Elysium Planitia region of the planet, where it is hard at work preparing to drill into the surface (and taking selfies, of..
NASA's new Mars lander has captured the first sounds of the Martian wind.